Size: approx. 100-150 mm. Photo: 09/01/18, 9 pm. 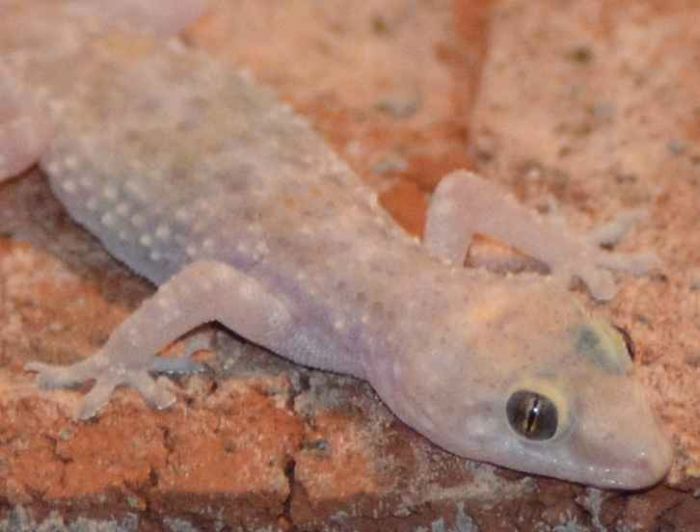 The Mediterranean Gecko has sticky toe pads and vertical pupils. Its skin is bumpy/warty. 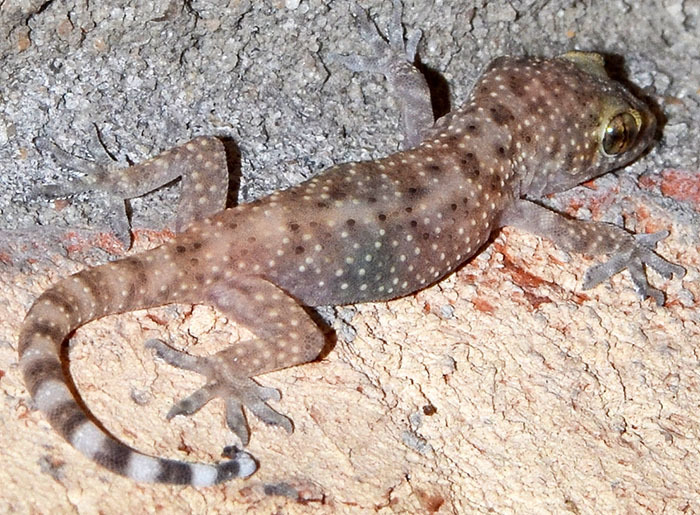 This introduced old-world species is almost completely nocturnal. It is firmly established in Florida and always found close to human developments. 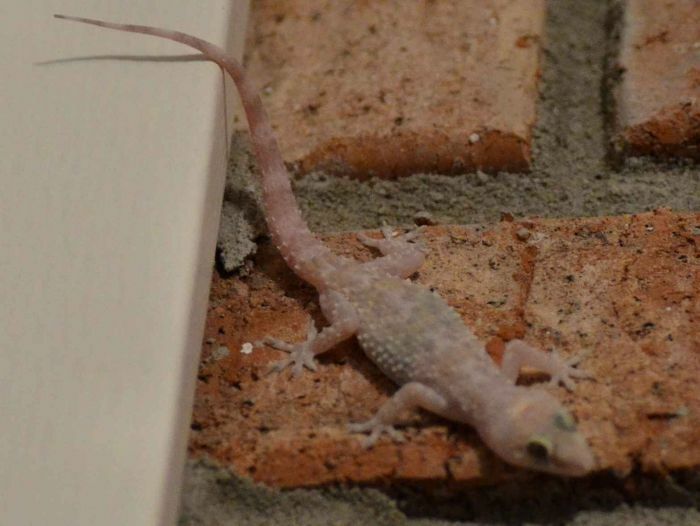 Geckos can make squeaking or barking noises. The small photos were taken on 08/08/11 around 11 pm.